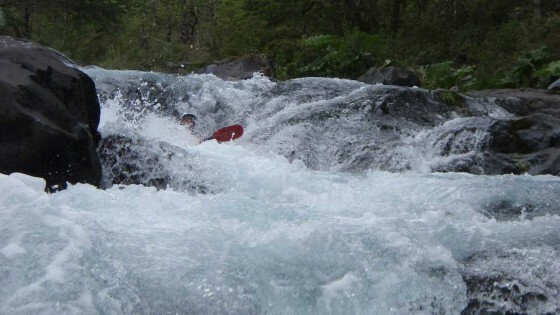 Flowing off the Western flank of Volcan El Mocho (2422 meters) in Chile´s 14th Region de Los Lagos is a fun, springtime, steep-creek. 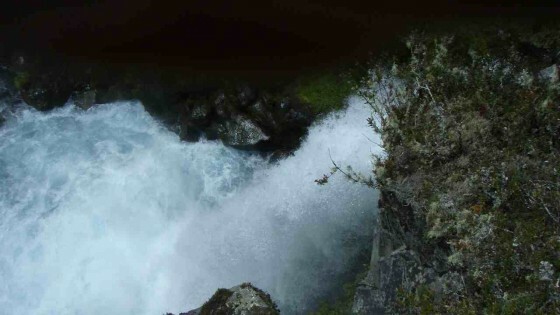 The river is fed by crystal clear snowmelt with a short springtime season. 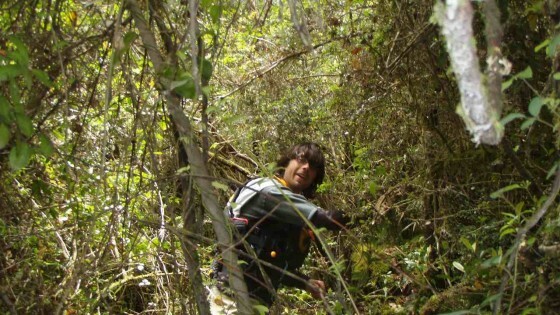 The class 3-4 creek is very steep with average gradient of 42 m/km (210 FPM) and requires very little water. Too much water (> 300 CFS) will make for a class 5 bob sled run. 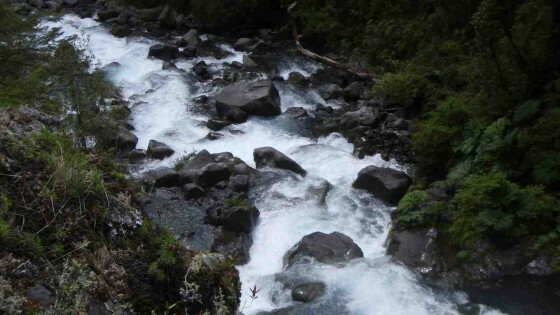 The river feeds into the Enco river which drains Lago Pangupulli into Lago Riñihue. 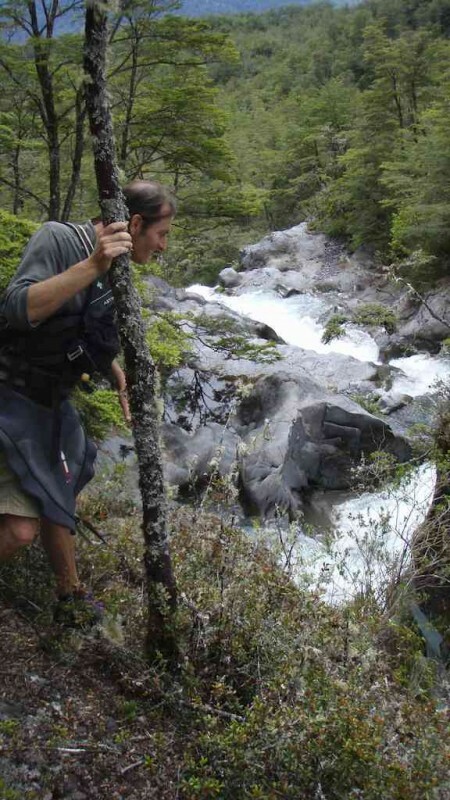 To reach the river go 49 km East from Lanco on Ruta 5 to Panguipuilli then east another 41 km to Choshuenco on the eastern edge of Lago Panguipuilli. 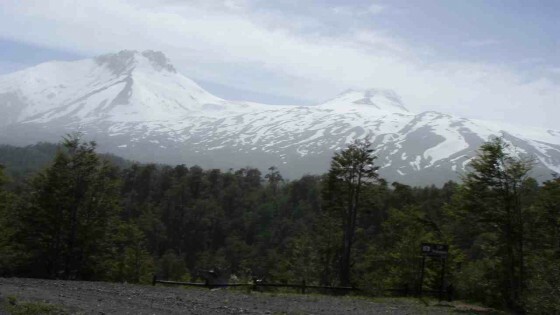 Upon reaching the lake turn left and go south 10.9 km alongside the Enco river valley to Puente Rio Blanco. This is takeout at 125 meters elevation and GPS coordinates 39.908486° latitude and 72.149124° longitude. 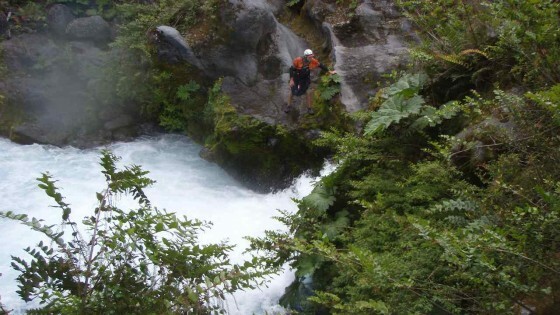 The put in point is 300 km below what the locals call ¨La Escalera¨ which is a most likely un-runnable 15 meter falls flowed by some class 5+, 6 whitewater. Accessing this rad stretch is almost impossible due to vertical walls of the canyon and dense undergrowth. Total drop on river is 135 meters in 3.2 KM for 42 m/km average (210 FPM). 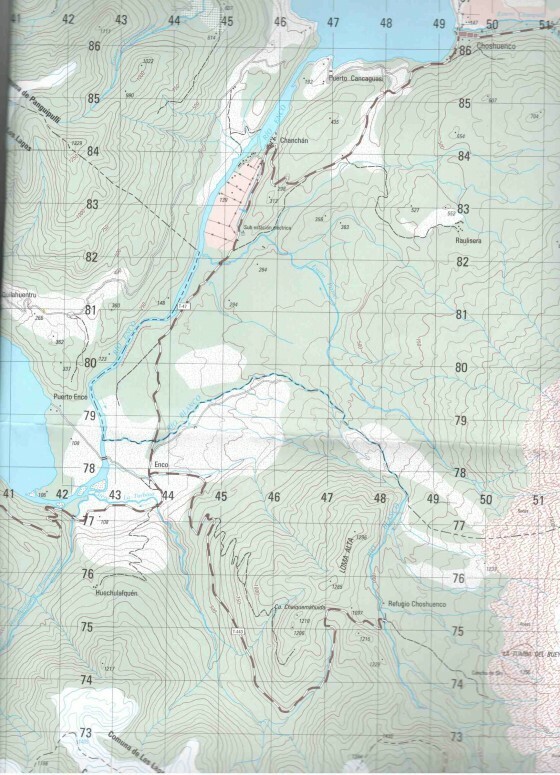 The gradient is concentrated in the first half then relaxes considerably so actual drop in upper stretch approaches 60 m/km but with mature, boulder choked bedrock river is very manageable.